Bangkok, Thailand (PRWEB) November 9, 2005 – In a historic operation, surgeons at Bangkok Heart Hospital performed Thailand’s first robot-assisted cardiac stem cell implantation on October 27, 2005. Utilizing Intuitive Surgical’s da Vinci Surgical System and VesCell™ adult stem cell therapy for heart disease from TheraVitae Ltd., surgeons treated a no-option, ischemic cardiomyopathy patient from Fayetteville, Arkansas, USA. Dr. Kitipan V. Arom and Sujit Banyatpiyaphod utilized the da Vinci system to make the initial pericardial incision. They then implanted the stem cells directly into the patient’s heart using the minimally invasive stem cell injection technique pioneered by Dr. Amit Patel, Director of Cardiac Stem Cell Therapies at The McGowan Institute for Regenerative Medicine, University of Pittsburgh Medical Center (UPMC) and Dr. Arom, who is the Chief Cardiac Surgeon at Bangkok Heart Hospital. Robotically assisted surgery requires only three small holes be made between the ribs. Through these holes, two robotic arms and a videoscope gain access to the heart, making surgery possible without opening the chest. “We are proud to be associated with hospitals like Bangkok Heart Hospital,” said TheraVitae’s Founder, Don Margolis. “They are merging the latest medical technology and surgical techniques to improve the lives of seriously ill heart patients who cannot be treated by conventional means and would otherwise have no hope,” he added. VesCell™ uses a patient’s own adult stem cells to treat Heart Disease and is a viable alternative for patients who either cannot undergo or choose not to undergo the standard treatment such as Coronary Artery Bypass Grafting (CABG). VesCell™ uses adult stem cells harvested from approximately ½ pint of the patients own blood to treat several heart conditions. Once harvested, the cells are differentiated and expanded in vitro at TheraVitae’s Labs in Israel. They are ready for implantation in about one week. TheraVitae is a private, multinational company focused on using stem cells from the patient’s own blood in order to treat a variety of disorders, especially cardiovascular diseases. The company has developed a proprietary stem cell technology called VesCell™ that is currently being used by hospitals in Thailand to treat patients with heart disease. TheraVitae is based in Bangkok, Thailand, Kiryat Weizmann, Israel, and Hong Kong. Bangkok Heart Hospital (BHH) – the first private heart hospital in Thailand – is a leading institution in the treatment of cardiac-related disease using adult stem cells. The hospital is currently using TheraVitae’s VesCell™ adult stem cell product to treat cardiomyopathy in no-option heart patients. Additionally, BHH has initiated a clinical trial using VesCell™ in conjunction with Coronary Artery Bypass Surgery (CABG) to treat congestive heart failure. BHH is comprised of experienced adult & pediatric cardiologists, cardiac surgeons, cardiac anesthesiologists, cardiac rehabilitation physicians and radiologists who have trained and worked overseas in countries such as the United States, Australia and Japan. Their well-trained and experienced nurses, technicians and paramedical personnel provide 24-hour care for all cardiac conditions. 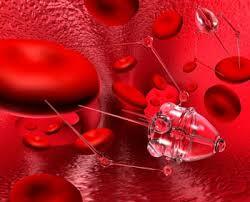 via Robot Assisted Stem Cell Therapy a First in Thailand. “As we tell you every chance we get, virtually everything you hear about stem cells in America is a lie—especially the nonsense about the science fiction known as “embryonic stem cells.” However, those USA researchers who are using the only stem cells that work, Adult Stem Cells, also exaggerate regularly about their “new” “groundbreaking” discoveries. Bioheart is a Florida company, one which we have long admired for its efforts to bring stem cells to the thousands of heart patients who could live longer and better lives rather than suffer with the obsolete, toxic medicines their doctors are forced to use. Notice in this article about a new clinical trial in Jordan, how CEO Karl Groth carefully explains, without exaggeration, the potential benefits of his truly groundbreaking product. But then read this statement from the doctor in Jordan who is running the trial. His statement wasn’t even true five years ago! That is something we hear from USA promoters all the time. The super hype bologna is now in the middle-east! VesCell (Thailand, Israel, Dominican Rep) has treated 500 patients, starting 1/1/05, with autologous stem cells, while the Johann Strauss Institute in Frankfurt has done about that many—all OUTSIDE clinical trials, for patients who once had no options and no hope. 90%+ of VesCell’s patients would not qualify for any trial. Indeed, over half of them could not even qualify for a transplant! A ground-breaking clinical trial on patients with congestive heart failure is to take place in Jordan in the capital’s Jordan Hospital, according to Dr Karl Groth, Chairman and CEO of Bioheart, Inc. Bioheart is fueled by a Middle East medical fund, the Ascent Medical Technology Fund II, LP. The FDA-approved study, REGEN, is set to observe 15 patients with congestive heart failure treated with genetically-modified MyoCell, a process that uses the patient’s own muscle as a basis for treatment. Groth said that MyoCell has been successfully tested in four clinical trials and advised that pre-trial research results from studies using Myocell with SDF-1, indicate significant improvement in patients with congestive heart failure (CHF). “The results of REGEN pre-clinical studies using modified myoblasts show a marked improvement in the heart function of patients with CHF,” said Dr Groth. Groth is also President and CEO of the General Partner, and member of the Ascent Group. He explained that modified myoblasts induce a higher release of SDF-1 protein, the catalyst that generates stem cells in the body after an injury. “The research conducted in advance of pre-clinical trials strongly indicates that genetically modified stem cell therapy may increase the speed of repair or regeneration of heart muscles. This means that a patient can return to a normal lifestyle, faster. We have found that SDF-1 releases additional therapeutic proteins to assist in the tissue repair process, resulting in a more expansive and quicker repair,” said Groth. The REGEN clinical trial is the first and only FDA-approved clinical study evaluating the therapeutic benefit of combined modified gene-cell therapy for CHF. Groth added that the REGEN trial is designed to test the safety and effectiveness of the composition of muscle stem cells that have been gene-modified to induce a greater than usual release of the SDF-1 protein. “We fully expect that this trial will significantly enhance the clinical improvements we have already observed in our Phase II/III MyoCell study,” Groth said. He explained that unlike other tissues, the heart muscle does not release sufficient SDF-1 to attract the number of stem cells to promote complete self-healing, often resulting in scar tissue formation and an impairment of normal heart function. According to statistics (American Heart Association), the US spends approximately US$22.5 billion per year on the treatment of patients with heart failure. After completing the REGEN trial, we plan to transition this second-generation product into its FDA approved Phase II/III MARVEL study. “Bioheart plans to further study the impact of modified myoblasts by observing three groups; a set of patients who are participating in the study and observing the differences in clinical and heart function among the modified group, those who are treated with MyoCell alone, and a placebo group, concluded Groth. Monday, March 15, 2010 – Seventeen years ago Bob Grinstead, now 71, from Roswell, Georgia, had his first massive heart attack. After a series of grafts he continued working as a salesman for five years until told to retire as he was in and out of hospital having stents inserted – and then having to have them cleaned out. In 2003 he had another bypass, this time with three grafts and a short while later he needed three medicated stents. After all this he still went on the next year to have four more heart attacks and yet another bypass was proposed. His specialist at Emory University, not surprisingly, told him his heart was not strong enough to undergo further surgery, so he investigated a laser procedure that would have cut away a part of his heart. Declining this offer his family searched for some real help. A son read about a man who had had his own adult stem cells injected and was now active, so Bob searched to see if he could get on a clinical trial. His fear that if accepted he might end up in a placebo group sent his family scuttling back to the internet and eventually they found Theravitae, an Israeli-Thai company at the forefront of research and development into adult stem cells for heart failure, ischemic heart disease and cardiomyopathy. Bob read about patients’ successful outcomes and came to believe that adult stem cell therapy represented his best chance. By the end of 2004 Bob was taking a daily tablet of nitro and gobbling up more every time he exerted himself. The least activity proved painful, and to travel, as he did in December of that year, entailed a wheelchair at every airport. In March 2005 he went to Bangkok, still needing an airport wheelchair and entered Chao Phaya Hospital under the care of renowned cardiologist Dr. Suphachai. After a simple blood draw which was flown to Israel to the laboratory for harvesting of the stem cells he needed, he had to wait a few days until the enriched supply of millions of his adult stem cells were reintroduced into his heart by catheter. Returning home Bob continued with his nitro tablets the first week but despite being more active, walking further and feeling better within four weeks he was experiencing no chest pain at all, so dispensed with his nitro. He continues to improve to this day and notes that his EF (a measure of the heart’s effectiveness at pumping blood) has risen from 30 to 46. Two years later Bob is feeling great. He does what he wants to do. He can walk for half an hour and use a treadmill. Living without chest pain alone has been fantastic enough for him to volunteer his time to talk to people contemplating receiving adult stem cell therapy and to share his story. Bob could have sat on his decking and read a book until he died but instead he and his wife have been to London (where they walked everywhere), the British Virgin Islands and he has skippered a 47-foot catamaran for a week. He is so busy traveling around catching up with his family that in the last year he has spent only six months at home. The cost? “Not a waste for two years of life. I reckon it was a pretty good buy. It’s a far better option than a bypass,” he said. Theravitae- makers of Vescell have now helped over 200 end-stage heart patients. Their clinical trial results have demonstrated that over 75 percent of heart failure, ischemic heart disease and cardiomyopathy patients can expect to regain a far better quality of life, be more active and pain free. Further clinical trails are planned and recently the company received Thailand’s Board of Investment approval. The future looks bright for being able to claim that most patients not only gain a better quality of life, but a considerably longer life than they might have expected. via invacare wheelchair: Grinstead Still Grinning – 2 Years afterwards Adult Stem Cell Therapy.